Time’s a strange thing. It is defined by its measurement, objective and increasingly precise. Yet even as we observe the system, we experience time in our own unique and subjective ways. I think about this every month as I begin to write my Changing Seasons post, aware that I experience the passing of different months in very different ways. Indeed I would say I’ve experienced November as almost outside of time, anchored by neither nature nor culture. In my garden, plants seem to be flourishing, but not in dramatic ways. Blossom has given way to fruit but none of it is ripe. About the only thing that’s noticeably grown is the grape vine. In all the years we’ve lived here, the vine has never produced grapes. Its utility lies instead in covering — at least for a few months a year — a particularly ugly fence. 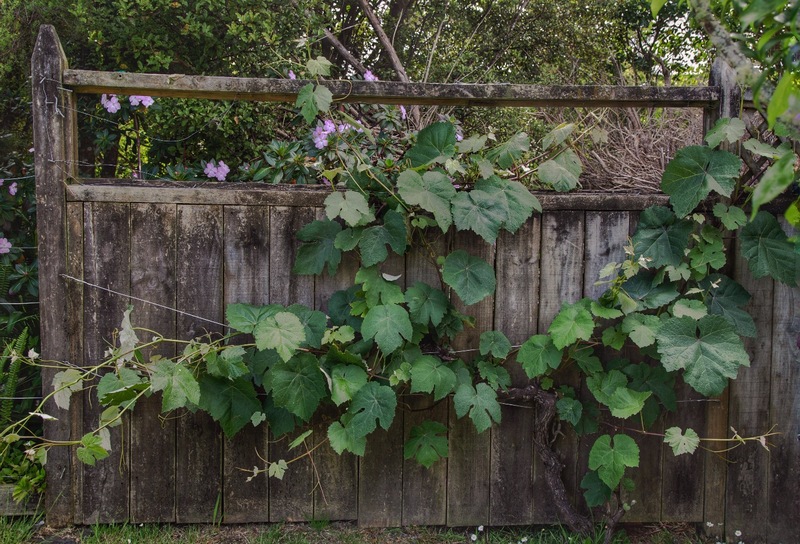 I am a utility gardener, and while I appreciate the masking properties of the vine, I want more from it. 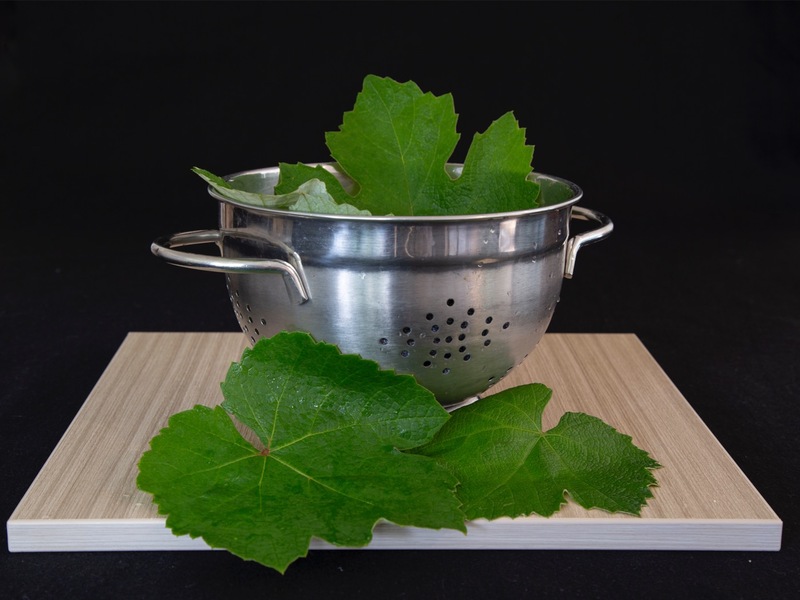 In one of those moments which, in a movie would carry ominous soundtrack warnings, I thought it might be fun to try cooking with the vine leaves. Fondly imagining some tasty little herby halloumi parcels, I set off across the lawn with my secateurs. Online, I found lots of advice on blanching the leaves for preserving, and lots of recipes using preserved leaves — but not a lot on using blanched leaves more or less straight away. With our little vine I can’t really harvest enough leaves to be worth preserving — and besides I wanted to cook NOW. “NOW” has proved to be a very fluid term. It took me the better part of a day to figure out a combination of blanching, soaking and simmering that would render fibrous leaves edible, turning a quick snack into an edible marathon medal. The parcels themselves are pretty quick to make. I added my new favourite herb combination of oregano and lemon thyme, and cooked them in a lightly oiled skillet for a few minutes on each side. The verdict: the dish worked quite well. The pickled onions and pomegranate seeds balanced the salty cheese and I liked the background taste of the herbs. The leaves were ok; still a bit chewy and fibrous, and I wouldn’t serve them to guests. The idea of garden to table living is incredibly appealing to me, and is indeed what I am aiming for eventually. In that context, the time spent fiddling about cooking leaves doesn’t feel wasted, and I’m not disappointed in the final outcome. I have discovered reserves of patience and tenacity I don’t always think I have, and learned quite a lot about a food I’ve only ever eaten in restaurants and as a take-away. When I look back on my November, I realise I have spent a great deal of it on projects like this; learning and practicing skills that haven’t necessarily produced the kind of results I would want to photograph, but have changed me for the better. Talk about a month of changes. November has gone from autumn to winter to storm and wind and overflowing rivers … and I don’t know which way is up or down. Congratulations on making the date. Sometimes, the month just creeps up on you. I had a book to review tomorrow and I made THAT date and it wasn’t easy. It really wasn’t my kind of book, but I made a date and felt obliged to meed my deadline. I hate being so deadline driven. We have gotten 9 inches of rain in November, 18 inches since the beginning of Fall in late September. a lot of indoor pictures, but some stunning ones outdoors, too. Congratulations (again) on making a really difficult dish from scratch. I don’t even have enough character to make them from preserved ingredients. I’ll post tomorrow or maybe Friday. The last day of the months somehow seems so appropriate. It might snow again. Fascinating and that last photo is beautiful. Lovely plating! Ta da. You did well, Su. Your wrap looks wonderful. A work of art. It is good to experiment. Thanks Tracy. It was a fun process, though not one I’ll repeat in a hurry. I set it for tomorrow. Friday seemed somehow a day late. Phew. I took a lot of pictures this month! Your post has lifted me to a philosophical place – time: objective or subjective, driven by the nature or will. I love how you’ve put together this challenging food/design post, presenting it through The Changing Seasons, all in the timeframe! Again, I am inspired by your creative drive driven by the challenges you’ve set for yourself! As always, beautifully photographed, aptly worded! Not at all! Keep it coming! Marvellous! Well done you. I can identify with ‘now as a very fluid term’ …I have one or two things to sort out, shouldn’t take too long…but! Your comment on ‘reserves of patience and tenacity I don’t always think I have’ is something that resonates with me these days, too! Thanks so much Sue 🙂 It’s always nice when posts connect with readers. The many ways humans experience time is something I have always found interesting. I think we may see some interesting entries to Becky’s December Squares on Time! It sounds like you and I had a very similar November – several projects that were part of a learning process but not necessarily ‘news worthy’. My dearth of photos for the month made me realise how much of my “normal” life produces material for posts and photos. It’s quite liberating to engage in projects that I don’t have to think about how to shoot! I’m impressed with your bravery on cooking grape leaves. It’s weird, I had no problem chewing the vegetables I planted, but somehow, I’d fear picking unripe or too old leaves from a grape arbor. (They are just too mysterious to understand.) I felt just as daunted by okra—I kept letting it grow because I didn’t know when it was done, and by then, it was a woody stake you could have impaled vampires with. But I do admire your efforts and the pictures could be in a fine dining article! I did wonder if part of my problem with the leaf texture came from picking leaves that were too old, but I did lots of research and seemed to be doing the right thing. I know what you mean about the “is it ripe” uncertainty. The worst is stuff that grows underground; I keep wanting to pick the beetroot I planted to check if it’s done, but chickening out, and leaving it too long. They should come with beetmometors! I wonder if there is a way to stimulate your grape vines to produce fruit for you to enjoy? I love your garden to table goal, Su. I enjoy walking out to my patio every summer and picking some beans, tomatoes and herbs for my supper table. Living vicariously through you until our next gardening season, here in the Northern Hemisphere. Isn’t it the best feeling. My garden is very small, and frankly not at its best right now. But even having a few herbs and chard to cook with feels like an achievement. It’s great that you can grow food on the patio; you are feeding your soul as well as your body. if you aren’t going to get any grapes you might as well eat the leaves, Su. That was my thinking Leslie. I really should find out how to make the fruit grow though, it’s so much less effort to eat. 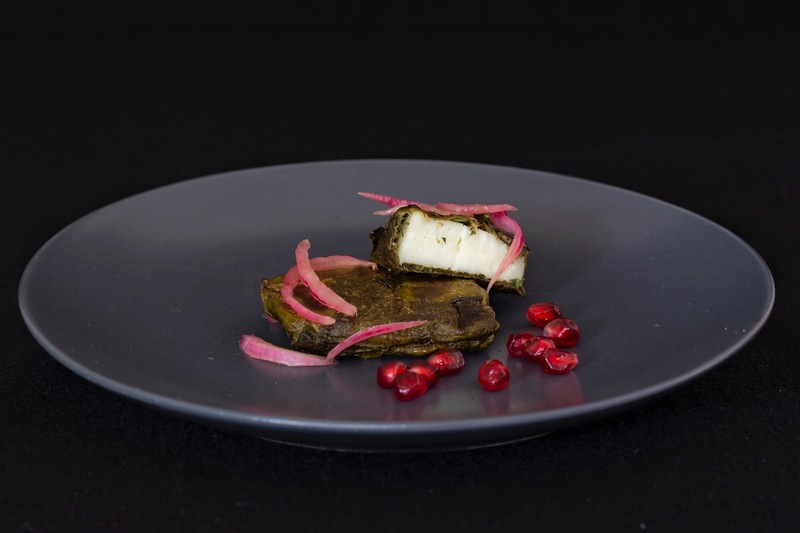 The grapes could be rather nice…..
Well despite the fibrous leaves, this dish looks very inviting. Do you think a quickish blast in the freezer might render the vine leaves more amenable? The filling sounds delicious. I have a passion for halloumi cheese. That’s a brilliant idea Tish. I’ll try that! With you on the joys of halloumi. I had the leftover bits with fresh asparagus and fried capers for dinner last night. I think you should ditch that vine and replace it with something that does flower and fruit. I even have to query whether it is a vine? But I suppose you must know that it is to cook with it. The finished result does look very nice and I admire your tenacity. It does occasionally produce tiny clusters of fruit buds, but they never ripen. I have thought of replacing it, but in reality, we actually need to re-landscape that whole part of the garden and that seems too daunting, so we end up doing nothing. I agree; we tend to focus too much on product and not enough of enjoying the processes and that is so limiting. A beautiful visual feast, Su. 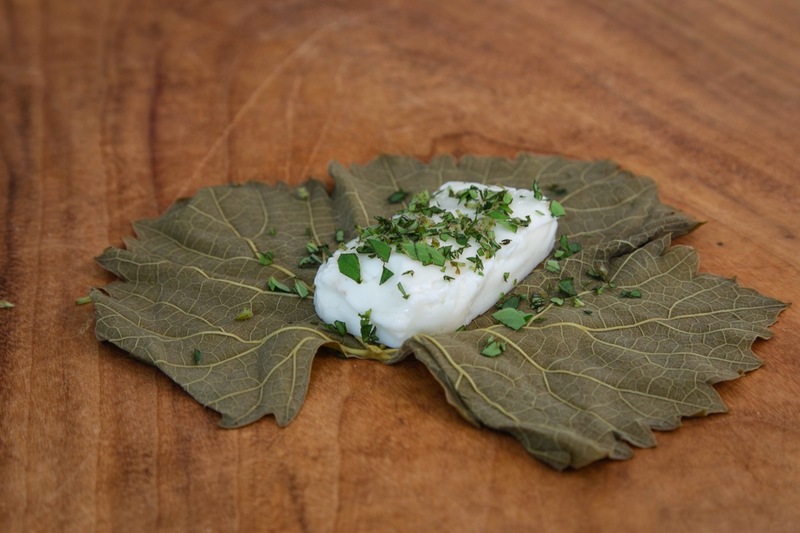 I adore halloumi but I think I can give vine leaves a miss. 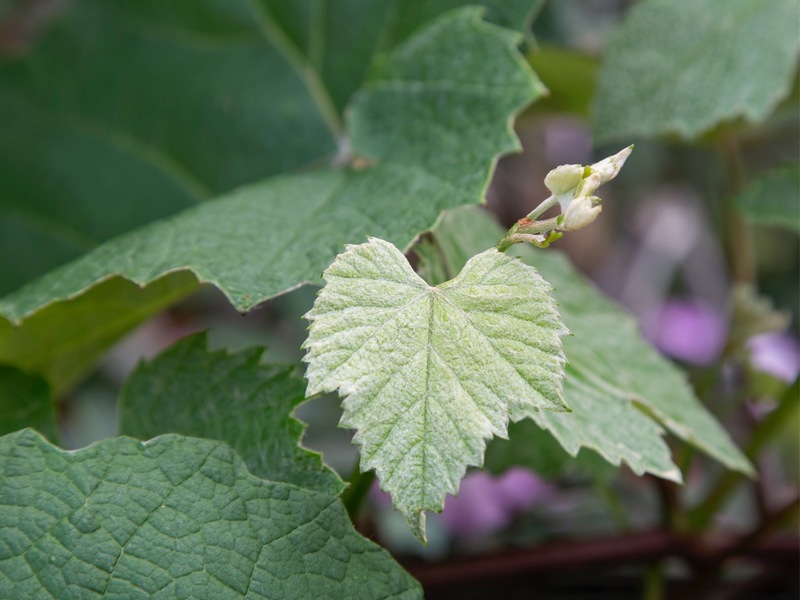 I read somewhere that some grape varieties produce better edible leaves than others. Perhaps your vine was not one of the best for edible leaves. I am sure you did everything possible to prepare them well. I did wonder about that, but couldn’t find any real information on it. And that can be a VERY good thing! I love this version of a Changing Season post. I kind of like the ugly fence with the vine. It holds a unique beauty. I like the dark backdrop in your exquisite food photos. Lovely to see you back Mick. I hope your mum has settled in well; I know it can be a difficult time for everyone. I don’t get the whole Black Friday sale crap here either — for exactly the same reason. But (bloggers notwithstanding hehe) people are idiots. Ugg. I haven’t been blogging for a while. It looks like the good standard is continuing in my absence. I love dolmades. Nice set of photos Su. I haven’t shot anything lately, so I missed out on November and I might have to skip December as well (I’ll try to throw in a December post though). No pressure. Blogging’s meant to be fun, but it’s easy to start feeling like we have to post. Feel free to keep the challenge going for 2019 (or pass it on to any volunteer). I won’t have time to post regularly. I’m enjoying it for now. It’s my own photography that I’m getting g bored with! !